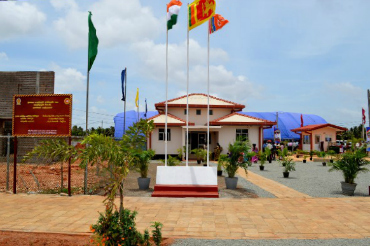 The Achchuveli Industrial Complex in the Jaffna Peninsula was declared open last week under the Uthuru Wasanthaya (“Northern Spring”) Programme. “Achchuveli industrial area was destroyed by the terrorists 25 years ago, but President Rajapaksa’s ‘Mahinda Chinthana – The Way Forward’ and ‘Uthuru Wasanthaya’ rebuilt it,” said Governor of the Northern Province Maj. Gen. (Retd) G.A. Chandrasiri. The entire park extends over a total area of 65 acres and is being developed in two stages. The first stage consisted of the development of 25 acres at a cost of Rs. 300 million. Of this amount, the Sri Lankan Government contributed Rs. 50 million while the Indian Government provided the remaining Rs.250 million for infrastructure development within the industrial zone. The development of this industrial park in Jaffna is expected to provide direct and indirect employment to more than 10,000 people in the region. 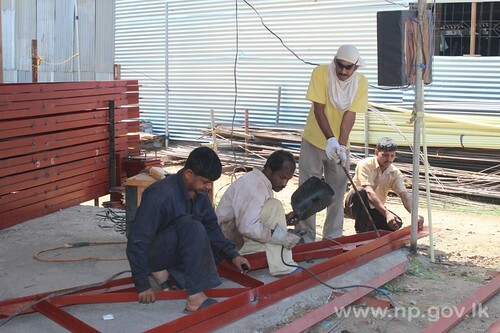 More than eight companies have already commenced construction of factories during the first phase of the project. The Sri Lankan Government provided basic facilities to the industrial park, including electricity, widened roads, pipe-borne water, a drainage system and a waste water treatment plant. 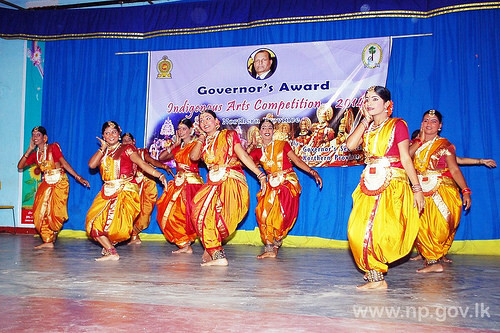 Governor Secretariat of Northern Province has organized the Indigenous Arts Competitions to promote the indigenous arts and artistes under the guidance of Governor of the Northern Province GA Chandrasiri. At first, district level competition were commenced on 11th April 2014 at Kilinochchi Central College. The artistes from Vavuniya and Kilinochchi took part. Secretary to the Governor L.Ilaangovan and Kilinochchi district Govt. Agent with Assistant Govt Agent and Drama Coordinator of Governors Secretariat Mrs. N.Sridevi participated at the inauguration ceremony. 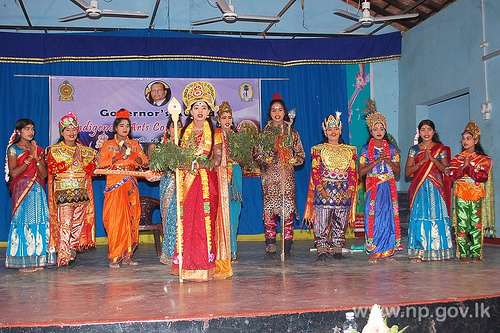 The competitions held successfully and the artistes showed their better performance. Finally the names of the winning teams to compete at Provincial level were informed. The competitors satisfyingly accepted the judgments of the judges and thanked the Governor for organizing such kind of programme. They appreciated the deed of the Governor. He not only gave life to the critically endangered indigenous arts but came forward to provide rewards also. “Completing the railway line from Kilinochchi to Pallai is yet another milestone of the steadily progressing Northern Railway restoration project. The train, when it drove in from Killinochchi to reach Pallai, made history, giving hope to many thousands of residents of the area that the resumption of train services would soon recommence. According to the construction agency, Ircon International Ltd., the track works between Killinochchi and Pallai are fully completed, with a few finishing touches left to be completed shortly. Governor of Northern Province GA Chandrasiri paid an inspection visit to the Jaffna Railway Station on 09th February 2014 and observed the reconstruction work of the station. For almost three decades the Jaffna-Colombo train service was interrupted due to the civil war. After the end of the hostilities in 2009, the railway stations and tracks along the Vavuniya – Jaffna railway path have been reconstructed in a rapid phase. Now the train services extended till Kilinochchi station. It is expected that the train will hit the Jaffna station in April 2014. Governor had discussion with the officials and instructed them to expedite the work. The Commonwealth Secretariat organized a workshop for staff of our Human Rights Commission and invitees last week. The objectives were facilitate to identify HRC’s role in contributing to the country’s on-going national reconciliation process; share experiences and best practices of ‘A’ accredited NHRIs in contributing to the reconciliation processes of their own countries; facilitate discussions between the HRCSL staff, NGOs, grassroots organizations, community and religious leaders, and senior local administrative officials in the areas directly affected by the former conflict to reach consensus on a collaborative project/s on how to contribute to the on-going reconciliation process AND raise awareness among the Commissioners and staff on how the direct involvement of the HRCSL in the reconciliation process may improve its effectiveness, independence and authority under the Paris Principles. Our HR Commission was granted Status ‘A’ in 2000 by the ICC. In 2007 it was downgraded to a’ B’ Status by the Sub-Committee on Accreditation of the International Co-ordinating Committee of National Human Rights Institutions (ICC). The ICC was established for the purpose of creating and strengthening national human rights institutions which are in conformity with the Paris Principles. The Secretary-General in his Departure Statement issued in February from Colombo observed that bolstering the capacity (of the HRC) involved in national reconciliation processes was an area of collaboration with the Secretariat. In May, the Chairperson of the HRCSL Justice Priyantha Perera and his delegation, which included the Commissioner in charge of the Inquiries and Investigations Division, and Regional Coordinators from Jaffna, Vavuniya and Batticaloa – met with the Secretary-General and Deputy Secretary-General in London. They were in London to participate in the Commonwealth Roundtable on Reconciliation. The HRCSL delegation confirmed the areas in which they would appreciate Commonwealth Secretariat support and technical assistance such as – support for the HRCSL to determine its role, as the national human rights institution, in national reconciliation efforts including making firm recommendations to the government on the fast-tracking of issues around language; making public high profile cases of disappearances and sharing the reports widely; engaging in advocacy with government and Parliament around counting and naming the dead; commencing engagement with government on issues of memorialization. The UN Manual on “National Human Rights Institutions: History, Principles, Roles and Responsibilities” on the role of NHRIs in post conflict situations, describes that NHRIs can play both a preventive and a restorative role in such circumstances. “Kurukshesthram” – a literature piece in Mahabharatham – an oriental dance story was staged at Vavuniya UC hall on 04th July 2013. 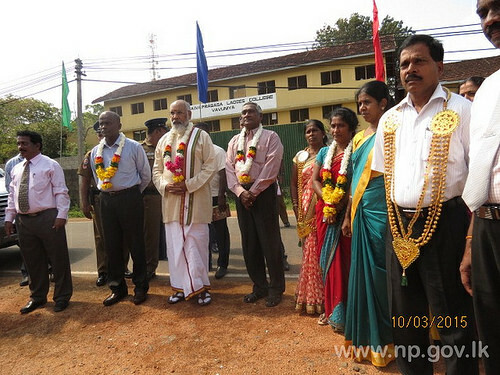 Governor of Northern Province GA Chandrasiri graced the event as chief guest. Govt. 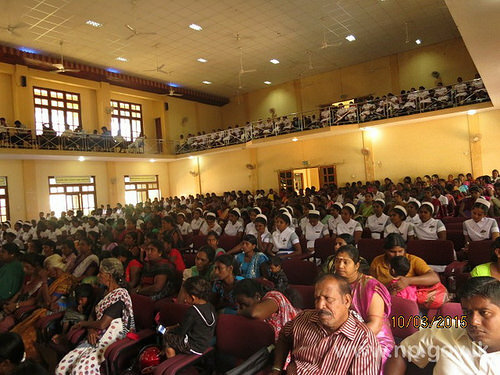 Agent of Vavuniya District Bandulla Harrischandra, Secretary to the Provincial Ministry of Education S.Sathiyaseelan, Regional Commissioner of Vavuniya District ISM Mohideen, Provincial Director of Cultural Affairs Mrs.N.Sridevi and several officials participated at this event. More than 1500 people and enthusiasts attended the show. The project to strengthen food security and livelihoods of 150 beneficiaries in Eachalamkulam and Kalmadu in Vavuniya was funded by the Japanese Government through the IOM. Field assistants in Tharanikulam, Eashwaripuram and Nochchikulam were given push bicycles and instructions to complete the identification of 25 quarter acre plots of farming in each village and map them out. They were also instructed to conduct a monthly evaluation to report the progress in their respective villages by visiting all the beneficiaries in the village. The beneficiaries were also issued stationary to write the daily activities done by them, which would include land preparation, weeding, preparation of liquid fertilizer and application, harvesting, sale of products and income. The government of Japan has provided US$ 89,825 (over Rs 11.7 million) in grant aid for a project to improve the livelihoods of the resettled people in the Vavuniya District under its Grant Assistance for Grassroots Human Security Project (GGP), the embassy said. ‘The project for increasing Food Security with Comprehensive Measures in Vavuniya’, to be implemented by People’s Livelihood Development Foundation (PLDF), aims to improve agricultural activities and livelihoods of approximately 625 resettled families who are engaging in agricultural in the area.